Thank you for supporting families in need this Passover season. 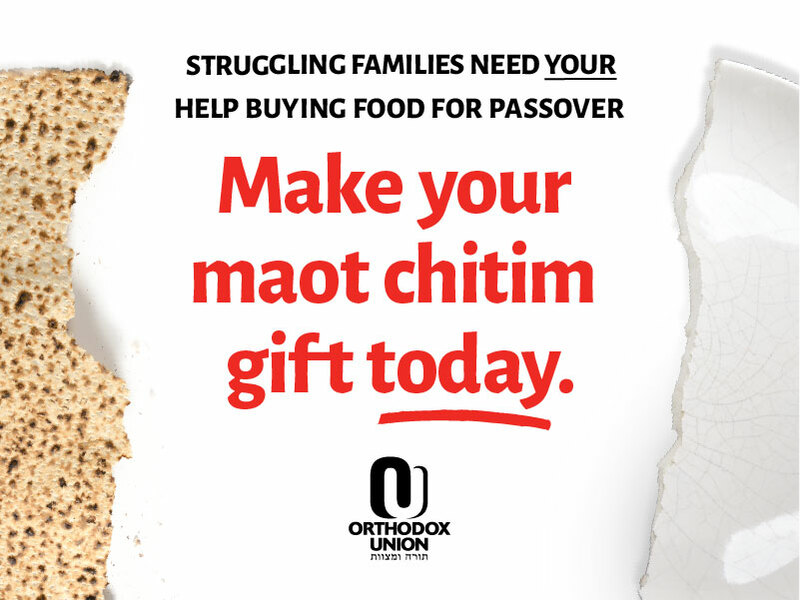 Your tax-deductible donation will help struggling families in hundreds of Jewish communities around the country and will provide them with the kind of enjoyable chag once unimaginable. Sign me up for the OU's weekly Shabbat Shalom email!